The goal of our in-home care programs are to help seniors maintain their independence by assisting them in ways that allow them to stay safe, happy, and healthy within the comfort of their own homes. 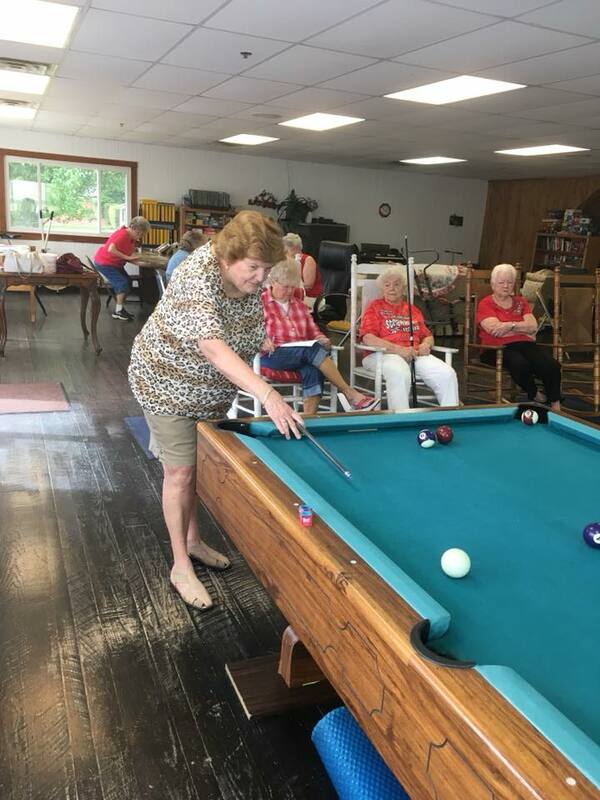 The eight in-home care programs offered by the Upshur County Senior Center cover a wide range of services depending on an individuals specific needs. The assessment used to determine these needs can be found here. We have two registered nurses who manage these programs and coordinate with case management agencies to provide complete, comprehensive, and personal services. Our personal attendants undergo thorough background checks and are trained to provide the seniors within this community the highest quality of care. If you or someone you care about are interested in our in-home care programs, please fill out a referral form. If you are approved for this service through the WV DHHR, select us as your provider! We offer this program to seniors that are eligible for nursing care facility services and Medicaid, which is determined by the WV Bureau of Medicaid Services. The Medicaid Waiver Program provides eligible individuals with the support they need to remain independent in the comfort of their own homes. Services provided by this program include personal care, light housekeeping, errands, and nutritional assistance. Select us as your provider if the WV DHHR has approved you for this service! Our Personal Care Program is available to seniors who are Medicaid eligible and require assistance with bathing, dressing, grooming, and other personal care tasks. Caretakers may also provide services like light housekeeping and errands. Our registered nurses will devise a personalized plan of care to meet your needs or the needs of a loved one, which will require the completion of a Medical Necessity Evaluation Request form by a physician. The Upshur County Senior Center offers the Private Pay Program to individuals in need of help with personal care and environmental assistance. This program is designed to meet the needs of seniors who do not meet the eligibility requirements for other in-home care programs. Our dedicated caretakers give seniors the support they need to stay safe in their own homes. This program provides seniors with supportive services that are deemed priority under the Older Americans Act, which includes light housekeeping and errands. These services are offered limited times per week depending on need. We understand the importance of helping seniors adapt to changes and challenges in lifestyle and offer support to make this transition easier. This program bills based on a sliding fee scale, and is based on income. Our Lighthouse Program helps seniors remain at home by providing them with the personal and environmental care they need to live there safely and comfortably. To qualify for this program, clients must require some assistance with mobility. This program has a sliding fee scale, based on income, and bills on a monthly basis. We appreciate the sacrifices our veterans have made for this country and offer this program to veterans in need of help with personal care and daily activities. The eligibility for this program is determined by a VA doctor. If you have questions regarding VA In-Home Health Aide, please reach out and we can assist you. This program is available to at-risk individuals in need of full-time care. It is designed to give full-time caregivers a break from the difficulties of caring for their loved ones. The ones you care about will be in good hands with our compassionate and well qualified caretakers. Rates for Respite care vary based on a sliding fee scale. F.A.I.R. requires the diagnosis of Alzheimers Disease or Dementia and gives the caregivers of these individuals a break from the everyday stresses that come with supporting these individuals. Caregivers are specifically trained to assist those with Alzheimers and provide customized care and companionship to these seniors for up to 16 hours per week.